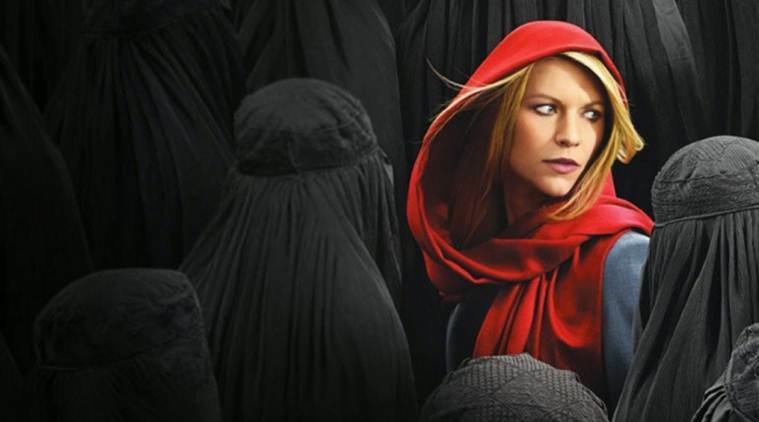 The fifth season of US award-winning show ‘Homeland’, that revolves around a street-smart CIA officer who suffers from a bipolar disorder, has just rolled off with a classic controversy. For those who haven’t watched the October 11 episode yet, Carrie, who is no longer with the CIA, has the mammoth task of arranging an event for her billionaire boss deep inside a militant-infested refugee camp on the Syria-Lebanon border. Now to tell you the story at hand, three graffiti artists, Heba Amin, Caram Kapp and Stone, have claimed that they ‘hacked’ the show by planting a clever, but stern message on the sets to target Homeland’s alleged anti-Muslim and racist stance. The artists say that they were hired by the show’s set designers to draw a few graffiti slogans in a scene that depicts the chaotic refugee camp overrun by Hezbollah militants. The scene itself was filmed however on a set in Berlin, Germany where much of the action takes place. In a post on their website, the artists wrote that they were given a set of images, mostly with pro-Assad slogans, and told to make similar graffiti which have to be apolitical. “In their eyes, Arabic script is merely a supplementary visual that completes the horror-fantasy of the Middle East, a poster image dehumanising an entire region to human-less figures in black burqas and moreover, this season, to refugees,” the artists wrote. Homeland, that draws exciting parallels with incidents in the real world, has mostly received positive reviews for its fifth season that will focus on the spread of ‘Daesh’ (local parlance for dreaded terror outfit Islamic State) and the Edward Snowden leaks. But over the years, ‘Homeland’, once a favourite of US President Barack Obama, has been criticised for the way in which it treats its Muslim subjects and the Middle-eastern locations it projects. 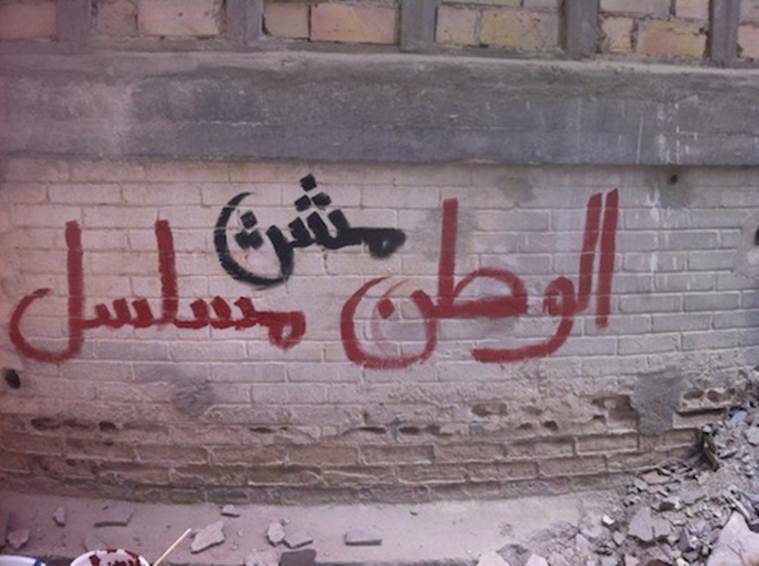 “The series has garnered the reputation of being the most bigoted show on television for its inaccurate, undifferentiated and highly biased depiction of Arabs, Pakistanis, and Afghans, as well as its gross misrepresentations of the cities of Beirut, Islamabad- and the so-called Muslim world in general,” the graffiti artists wrote. 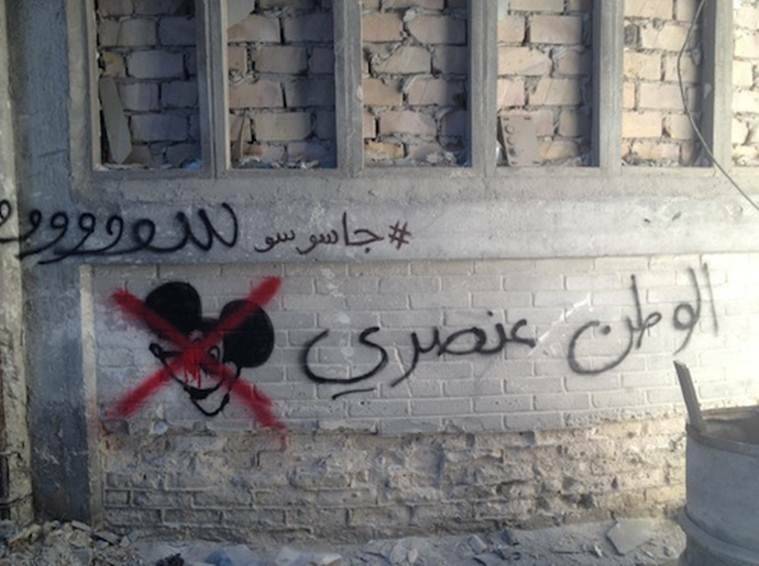 While the ploy by the graffiti artists has definitely shaken the show, how the Arabic hate messages passed through multiple editors without anyone understanding the meaning behind it is still a mystery and a larger problem at hand for the show’s creators.